I’m posting a video of the music at my church from a few weeks back. It’s not to show how good I am or brag. Hopefully this will be an encouragement and a resource for you. We’re an average church. I’m a very average singer and musician. I am surrounded by some very talented folks who help cover, but aren’t we all. What I love about this video is that while the service generally went well, it still shows us warts and all. I’m flat at parts, the sound mix was 100% all the time. We made mistakes. All of the stuff that happens at Real churches all over the world every Sunday. A couple of things I think you (and I) can take from this video. 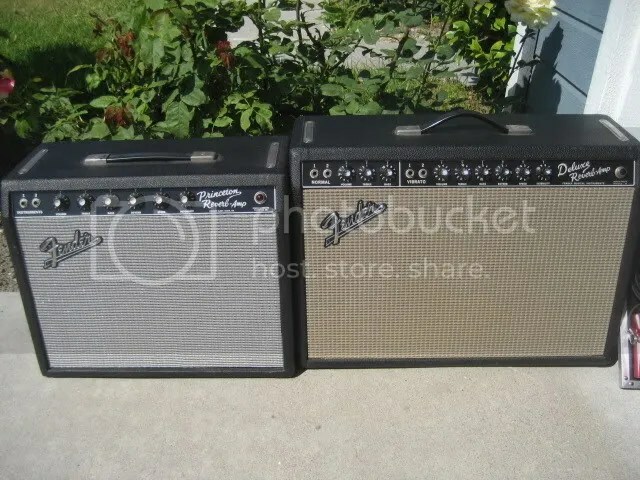 The Electric: Best Amp For A Worship Band? In this series I try and address different aspects of the practical side of playing electric guitar in church music. This week we’ll talk about amplifiers, which ones are good for a worship band, and which ones should be avoided. An amp isn’t just the speaker that produces your guitars sound. In many way, the amplifier is an instrument in it’s own right. An acoustic guitar is just an acoustic guitar, but an electric guitar rig (guitar, amp, effects) is a group of instruments being used together to produce a sound or tone. My point is that it doesn’t make any sense to put money into a nice guitar or effects pedals and then have an amp that is sub par. An amp is an instrument. It has to sound good in its own right. To that end, if the amp doesn’t sound good on it’s own, without effects, and without a high quality guitar then it’s the wrong amp. NOTE: This is why I DO NOT advise buying digital amps or amps with built in DSP effects. Your tone will be better off with just your guitar and a Fender Blues Jr than with an amp that has 15 poor quality onboard effects. This post isn’t just written for the worship leader. It’s for every member of the church’s worship band and community. I vividly remember the night. I was driving home from work in the summer of 2000. I had just graduated from High School and my car only had an FM radio. Then it happened, a song I’d never heard before came over the airwaves with sound that was both ground breaking and familiar all at the same time. This being the dark ages of technology, I had to sit in my parked car for three more songs to find out who this band was. The song was Yellow and the band was called Coldplay. On my lunch break the next day I walked over to Sonic Boom records in Seattle and purchased the album Parachutes. Within two weeks, everyone I knew seemed to have a copy. That was 13 years ago. Since then, Coldplay has grown and established itself in the mainstream musical consciousness of the Western World and beyond. Even if you’re the type of Christian who has a personal conviction not to listen to secular music, you have heard Coldplay. You often hear about Christian bands ripping off U2 (I’ve written about it HERE) but the truth is that they’ve been influenced by Coldplay just as much. Yet, again and again, I’ve been in a worship band practice and said “it’s kinda like Coldplay” and received nothing but a blank expression back. It’s been 13 years. In this series I try and address different aspects of the practical side of playing electric guitar in church music. This week we’ll talk about playing without effects or pedals. I’m a little hesitant to write this post. When I write in general it just about my experience and things I’ve picked up over the years. But I’ll fully admit that I’m still learning more and more about how the guitar and amp work on their own. Effects pedals are great, but they can do us a disservice by letting us cut corners and thus not forcing us to learn about the relationship of the guitar and the tube amplifier. Younger players often rip on older player who seem to only want to relive the classic rock glory days of the 70’s and 80’s (and if that’s you it’s time to learn some new tricks 😉 ) but I’ve gained an invaluable amount of insight from those older players who can do more with just a guitar and amp than you or I could with 12 pedals. So here’s some thoughts on what happens when you choose to or are forced to play with out effects in your rig.